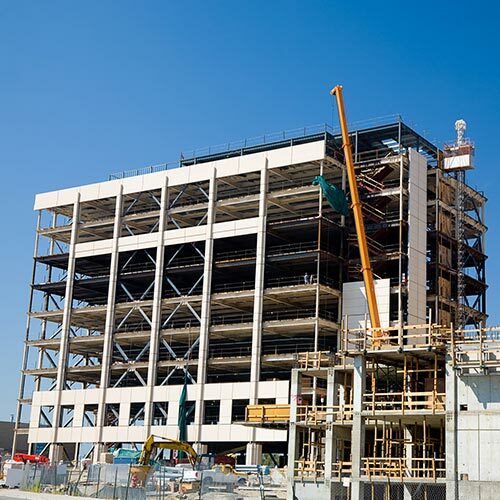 The Construction Utility/MEP Superintendent is responsible for the timely and cost-effective field coordination, quality control and day-to-day supervision of subcontracted work forces for Healthcare construction projects. Must have experience with underground utilities and general MEP systems. – Develop project construction schedule detailing the timing of material delivery, subcontractor work schedules and overall project plans. – Advise Project Manager of circumstances and issues that will have a significant impact on the project schedule. – Knows how to use Procore and Sage Accounting. – Knows how to use MS Project for scheduling procedures. – Prepare and maintain reports in accordance with company policies and procedures that accurately describe project status. – Document issues and problems that have developed along with identification of the person(s) responsible for their resolution. – Verify accuracy of drawing plan measurements of floors, walls, ceilings, etc. – Identify discrepancies and take corrective action with Estimating or Project Manager. – Schedule the routing and delivery of materials and take appropriate precautions to prevent job-site theft. – Ensure schedule takes into account current tenant work schedules and building access/elevator usage for oversized materials. – Co-chair weekly project construction meetings with subcontractors, architects, engineers, other vendors and owner to discuss project status. – Document issues that impact the project schedule or will impact project budget and assign resolution to appropriate individuals in attendance. – Recommend overtime work requests to Project Manager and obtain appropriate security clearances for approved overtime. – Continually enforce safety policies and procedures. Attend relevant courses on safety programs and stay up to date on latest trends. – Make active attempts to resolve labor disputes and personnel problems. Take unresolved issues to Project Manager when needed. – Establish effective working relationships with client, architects, building manager, building engineer and others. Actively enforce all building regulations regarding noise, use of elevators, security, etc. – Maintain adequate and competent subcontractor labor crews as approved to complete timely and quality work. – Schedule and coordinate work crews consistent with project demands and schedule. Supervise work of crews to ensure work is completed as contracted with a minimal punch list. – Meet daily with subcontractors to ensure daily schedules and task lists are understood. – Take necessary steps to maintain general conditions costs including trash dumpster use, security guards and general laborers at the budgeted amounts. – Review invoices from subcontractors and vendors and recommend approval or modification to Project Manager. – Document all field changes and “as-built conditions” to Project Manager on a weekly basis Obtain client and or architect signature on final punch list completion certificate. – Assist Project Manager and/or Estimators by reviewing bid documents and estimates from a logistics, scope of items and general field perspective.